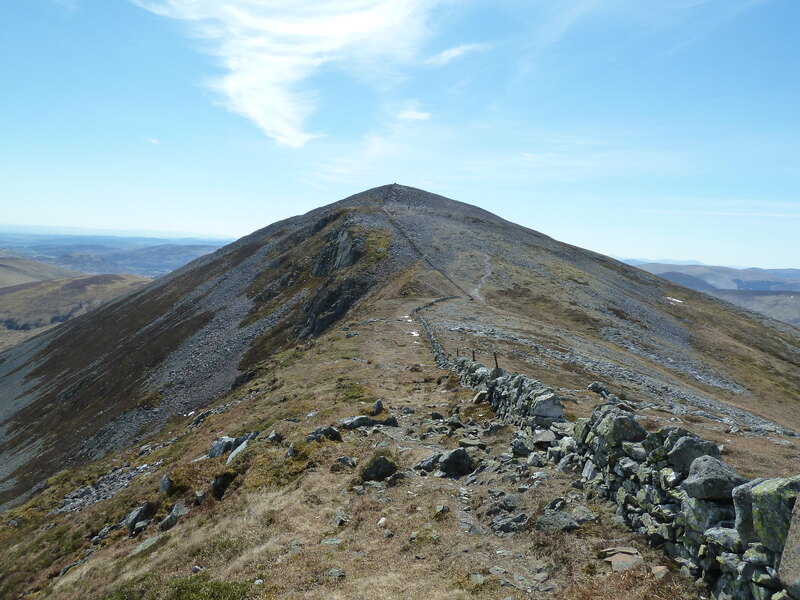 The weather forecast for this week was too good to resist, so I arranged a sneaky wee midweek day off work and decided to knock off the 4 Munros on the east side of Glenshee, having done the 3 on the other side the previous month. Arrived at the ski centre just before 10am, having decided to get the road walk part of the day out of the way first. The sun was beating down, there wasn't a clout in the sky and I was about half way down the road when I realised I'd forgotten to bring sun cream...oh, well I'd just have to get burned - and I did! At least I remembered my sunglasses, essential if doing the route this way on a sunny day as you will have the sun in your face pretty much the whole day. 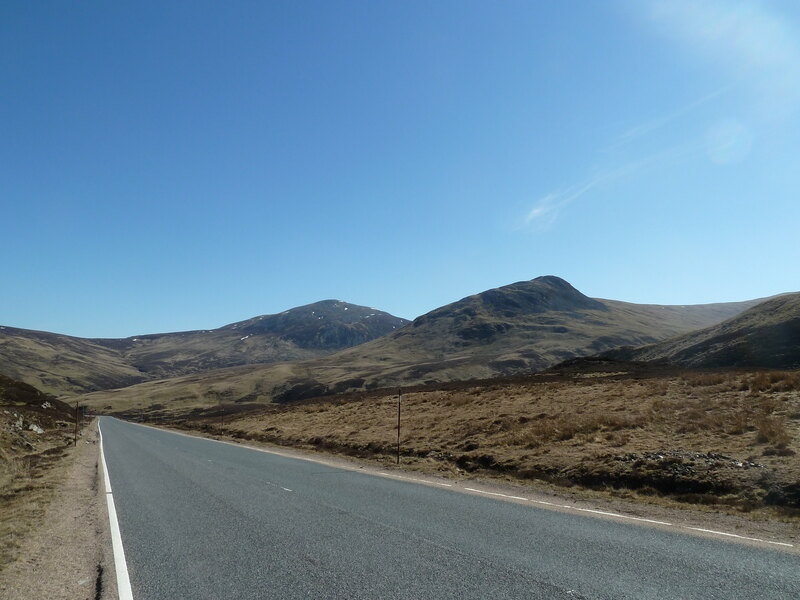 The walk down the A93 takes less than half an hour. I was surprised to see several Oystercatchers flapping about among the heather as I wouldn't normally expect them this high up and far from the sea. After less than half an hour the road portion of the walk was over and it was time to head into the hills. 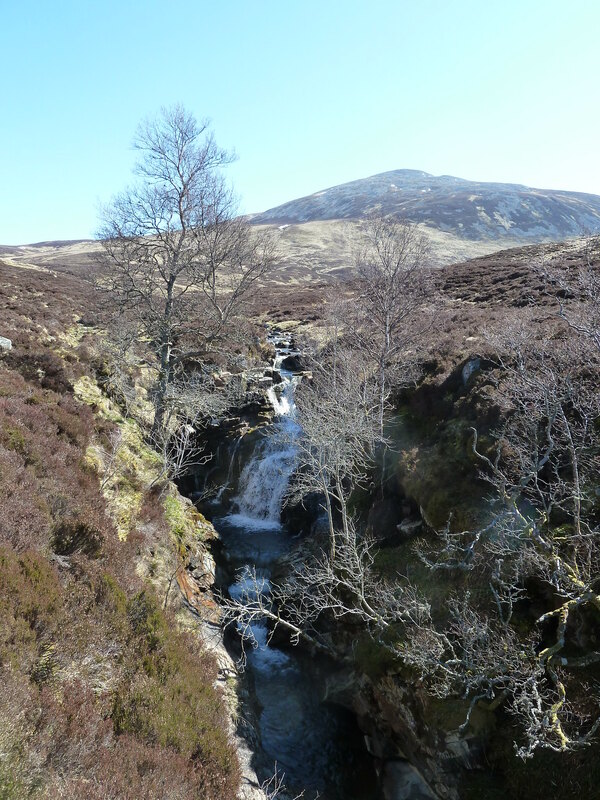 Just below the lay-by there are two bridges...a modern green one on the right and an old stone one...cross this one and follow the well-defined path that follows the north side of a pleasant stream past some lovely falls. 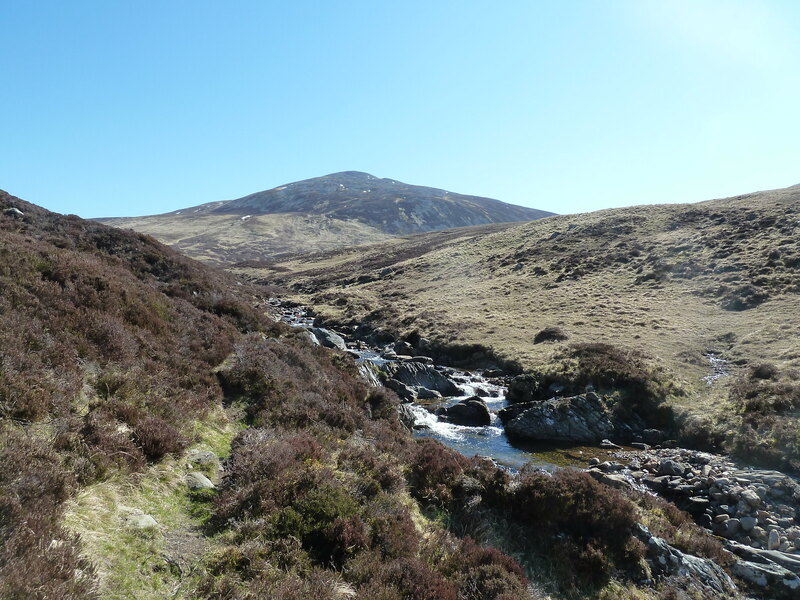 Compared to the Cairnwell walk, this was proving to be a very pleasant walk with little sign of human activity apart from the road behind which carried the odd bit of traffic noise. 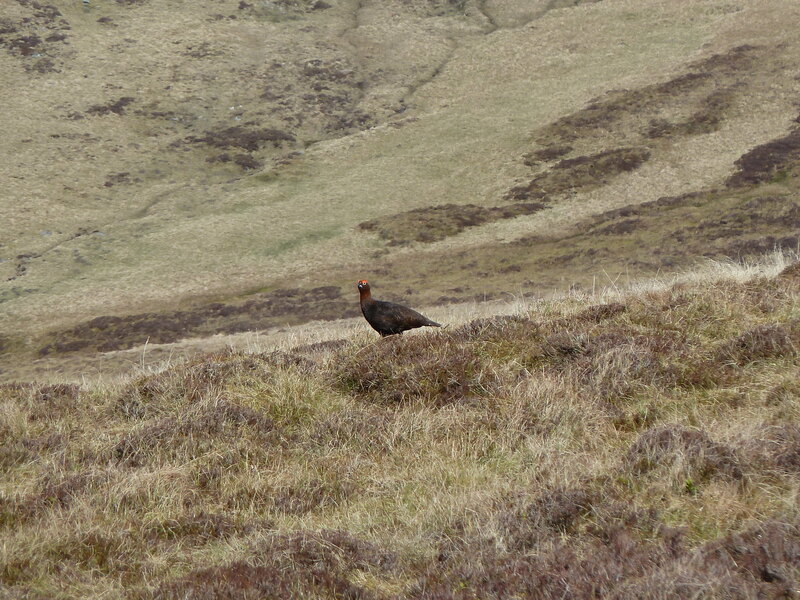 There was lots of birdlife bobbing about, including the red grouse that would explode out of the heather if you got too close. 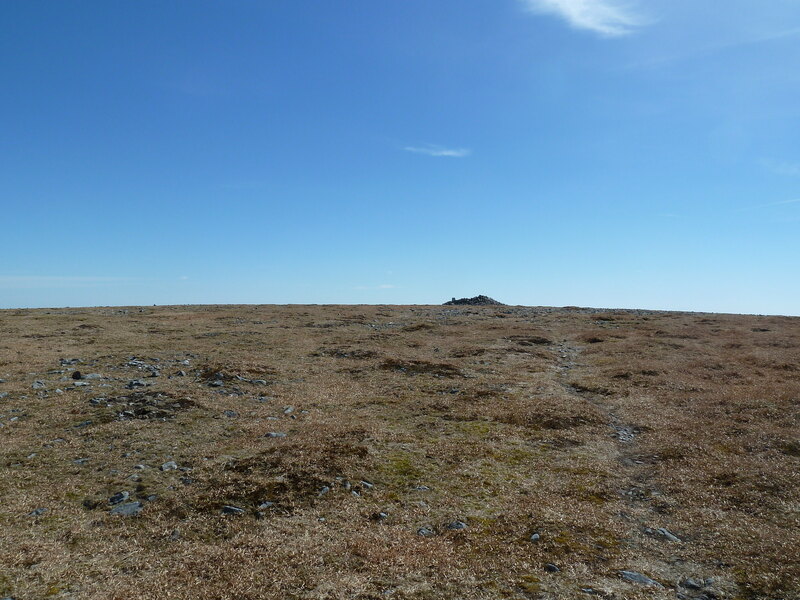 Eventually the path sort of peters out and then it's just a matter of picking a course up the west flank of Carn an Tuirc - which gets increasingly bouldery towards the top. 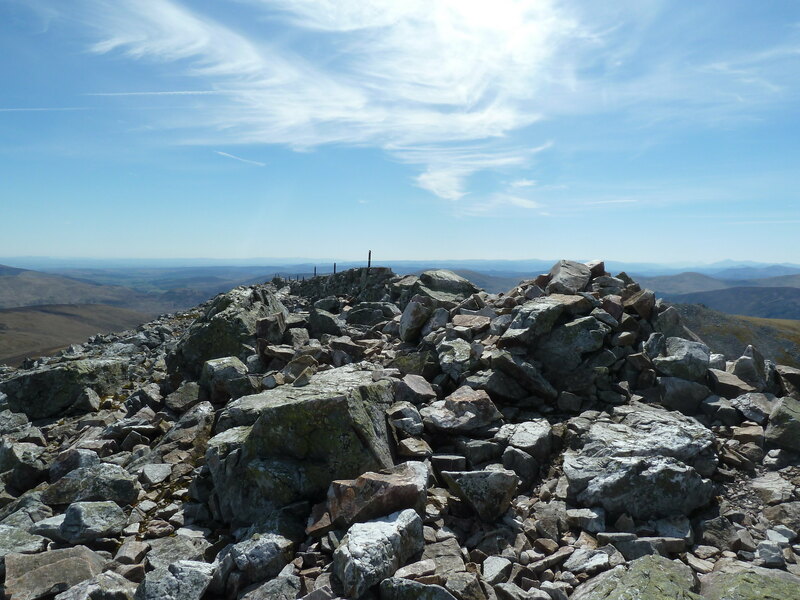 I reached the summit just over two hours after setting out. 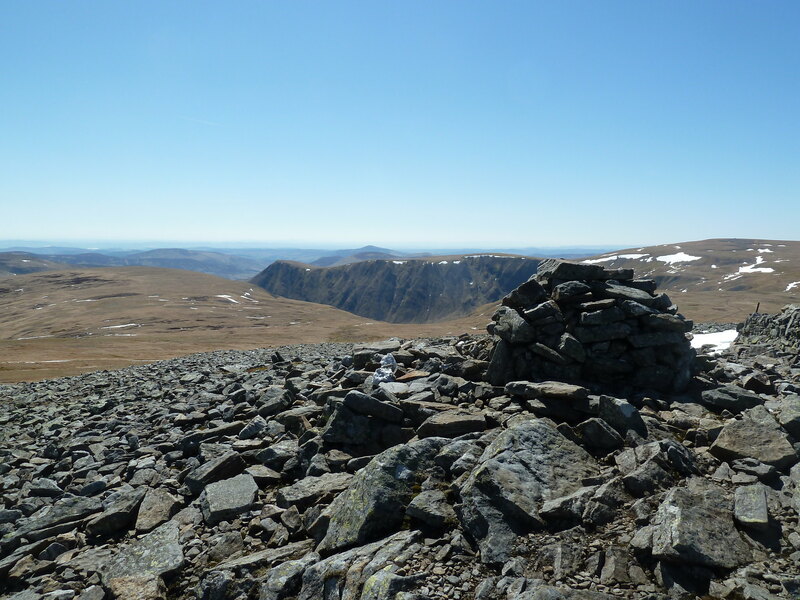 With the wind coming from the east, it hadn't been a factor all the way up, but it was now on the summit and would remain a constant annoyance for the rest of the day...but you can't really complain! 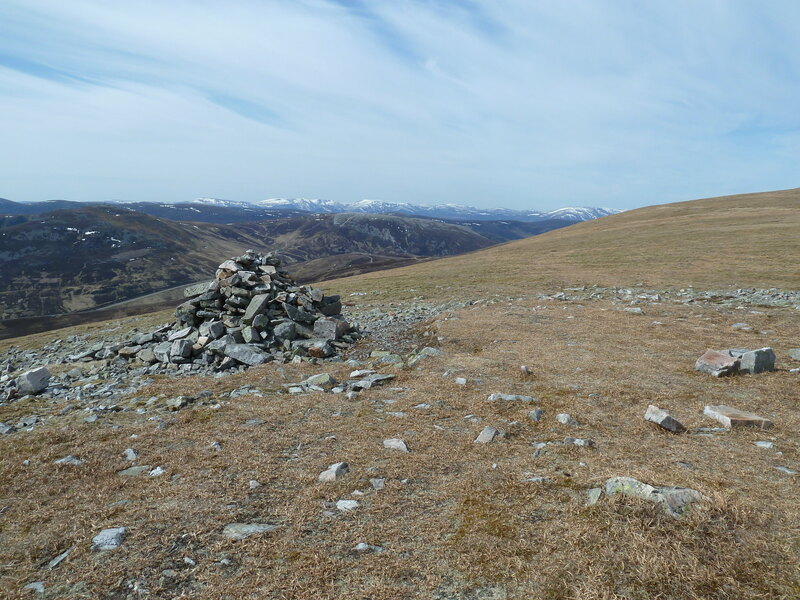 To reach Cairn of Claise you have to skirt round a deep gully, so descend roughly east from the summit and pick up a path/track that heads south on the other side. 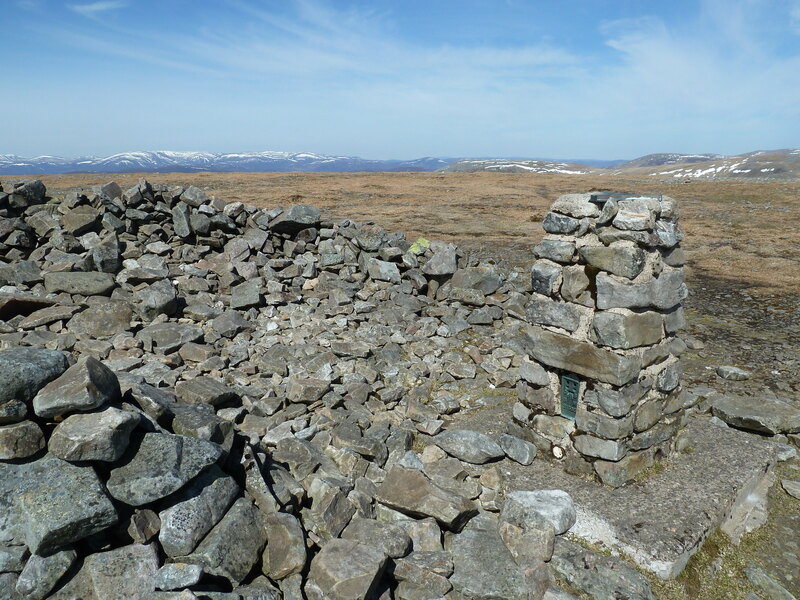 Near the summit a well-built boundary wall appeared...follow this to the summit of Cairn of Claise. 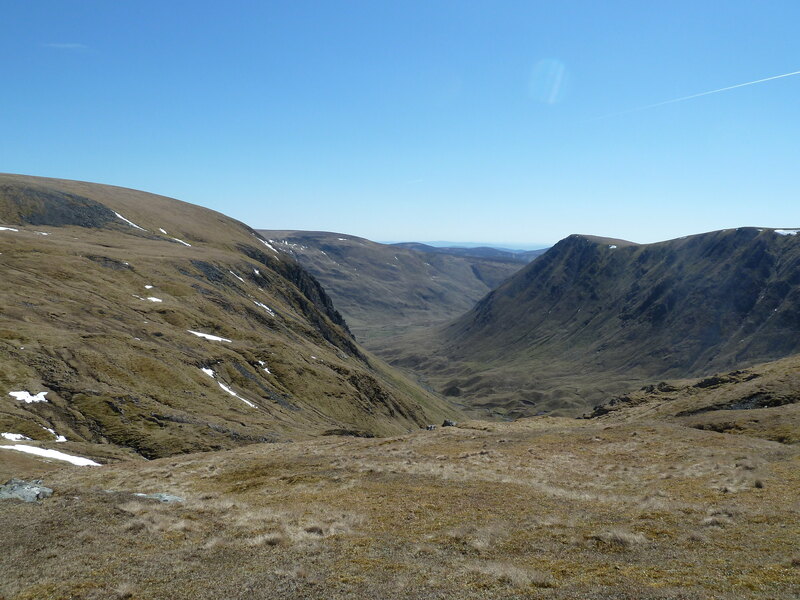 From here, the direct route to the summit of Glas Maol is to basically continue following the wall, but my eye had been caught by the magnificent sight of the cliffs of Caenlochan Glen, so I decided to go off-piste and see if I could get a better view. 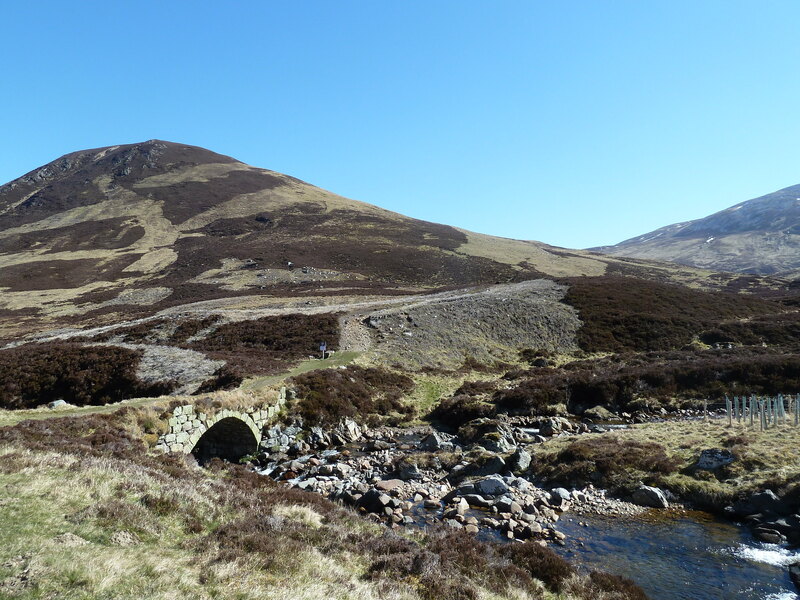 This meant losing some height and doing a bit of bog-hopping, but I'm glad I did as the views down the glen were stupendous...the perfect spot to stop for a bit of lunch. 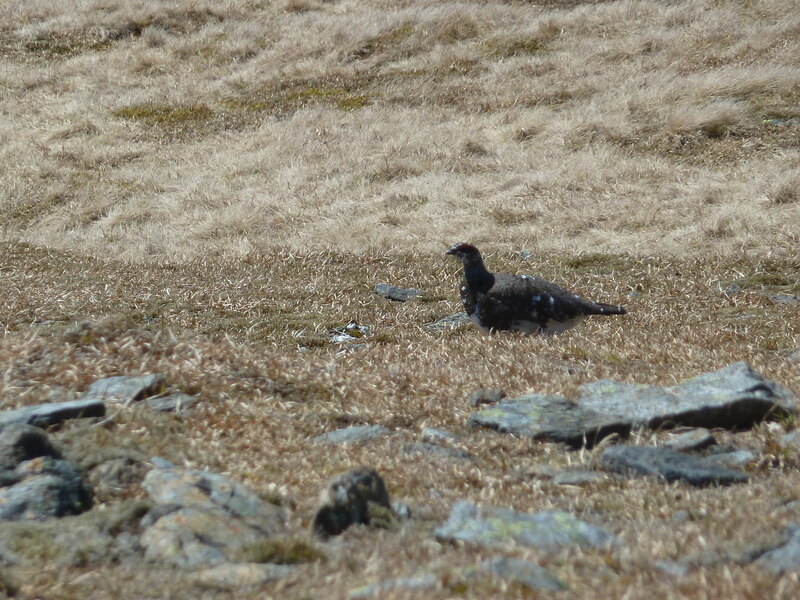 There were quite a lot of Ptarmigan in this area, one of which I just managed to capture with the camera. They were making quite a racket with their rasping calls. 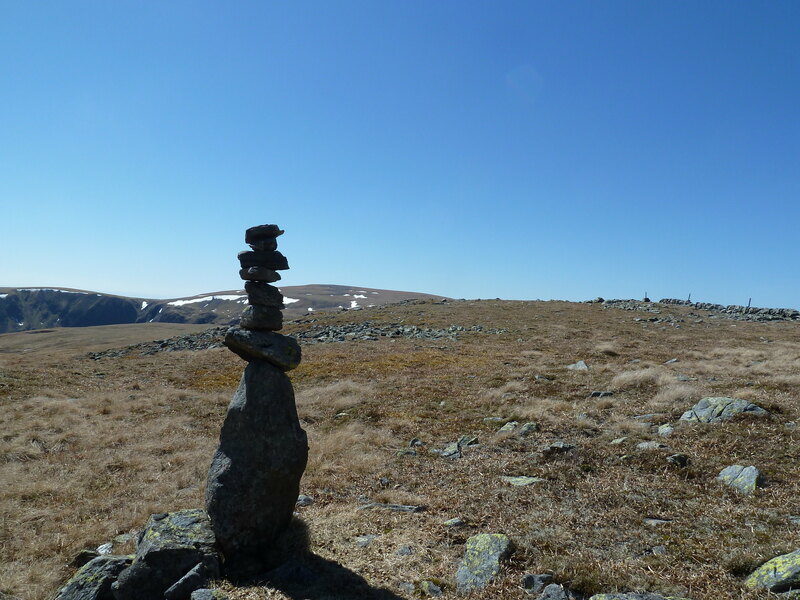 After lunch I dragged mysel[/b]f away from my viewpoint and headed back uphill to rejoin the path to Glas Maol. 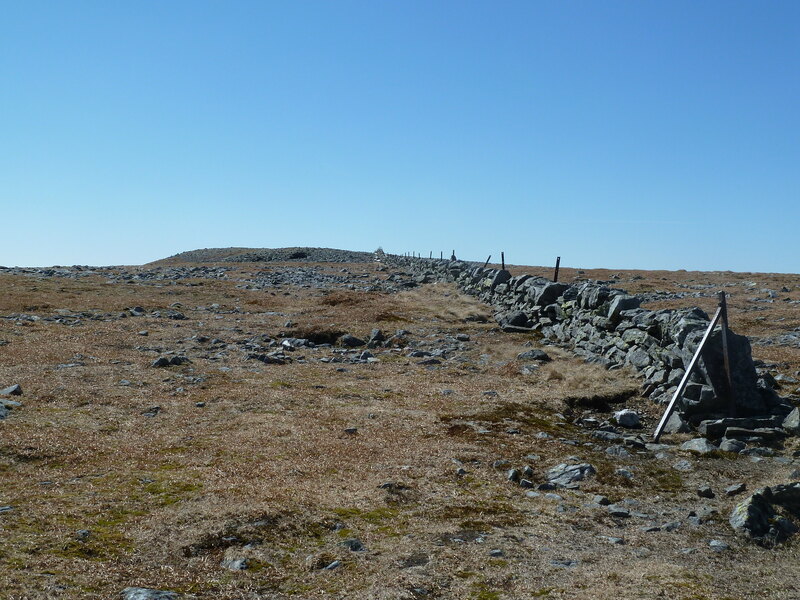 The wall had now disappeared and been replaced by a line of rusting fence posts so I followed these all the way to the summit, marked by a triangulation pillar. 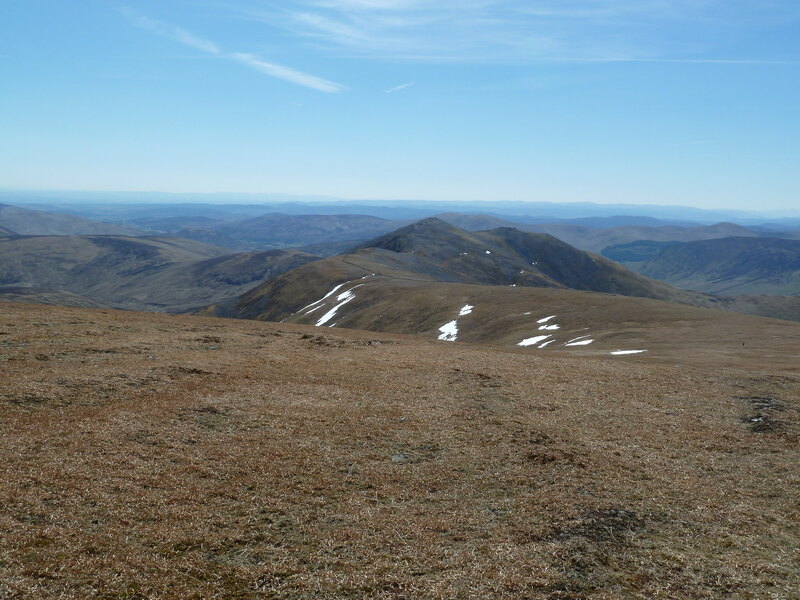 Looking south from the summit of Glas Maol you can clearly see the route towards the final Munro of the day...Creag Leacach. 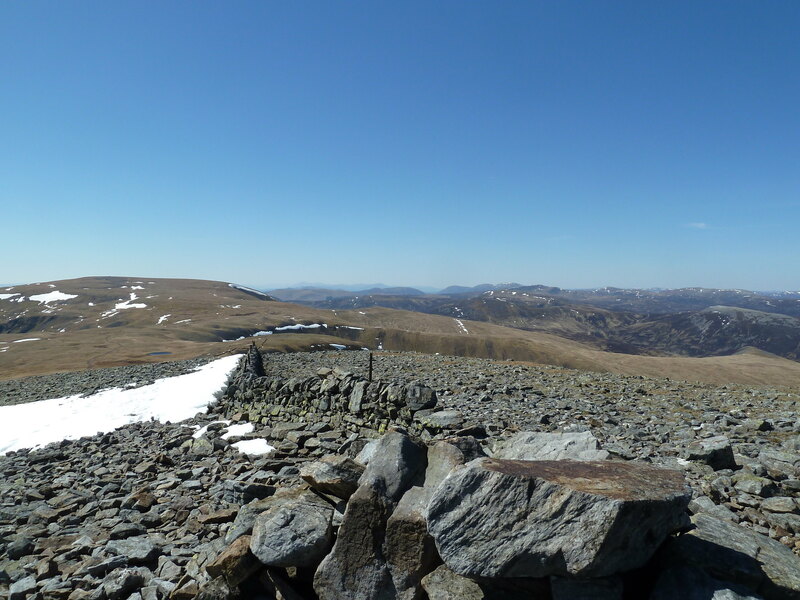 You can clearly see the wall reappears and leads all the way up to a surprisingly pointy summit. 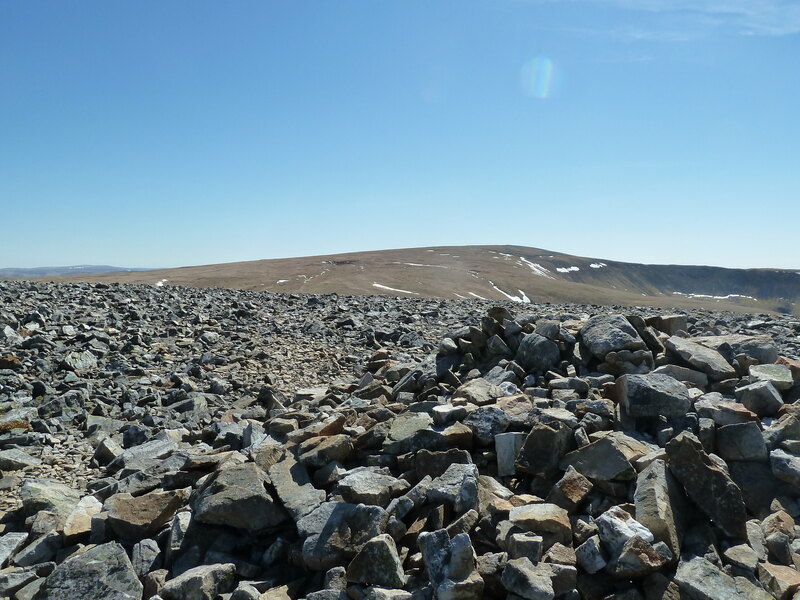 It's a straightforward stroll most of the way, but gets very boulder-strewn on the final approach. 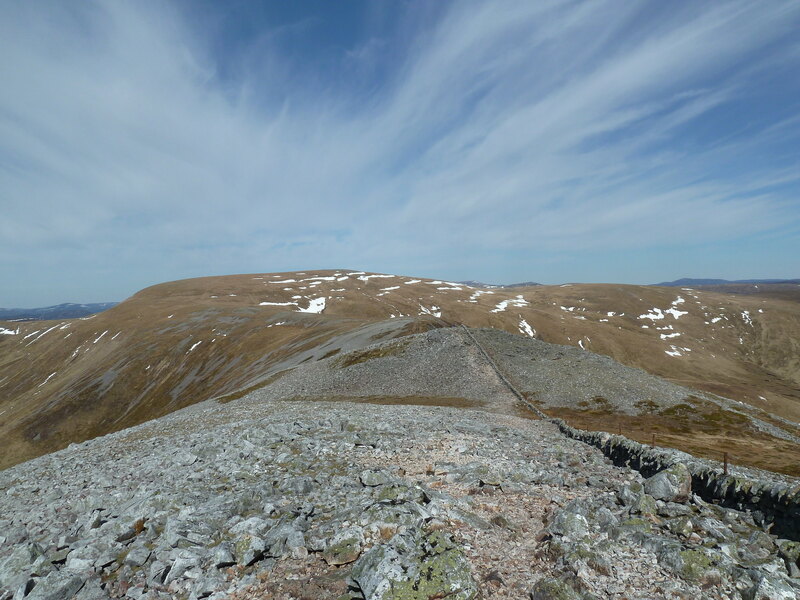 The route back to the ski centre involves traversing around the west side of Glas Maol and heading for the ski junk at Meall Odhar - from the summit of Creag Leacach head back towards Glas Maol and look out for a large cairn on the left just as the wall peters out...beyond this a faint but obvious path heads off across the grass all the way to the chair lifts and associated tracks that will take you back down to the enormous car parks opposite the ski centre. 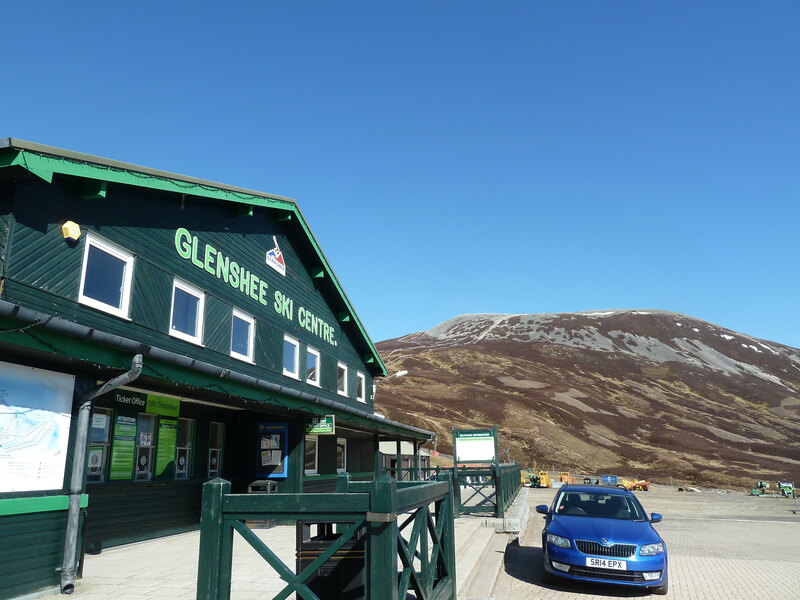 So that's all the Glenshee hills done. 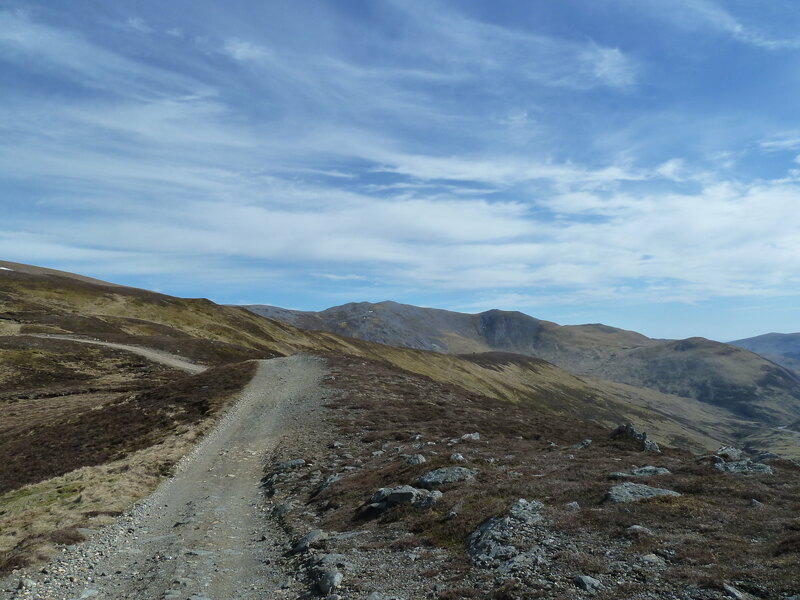 It's not the most beautiful part of the country, but these eastern hills definitely have a lot of character and plenty of highlights...more so than the dreaded Cairnwell group. 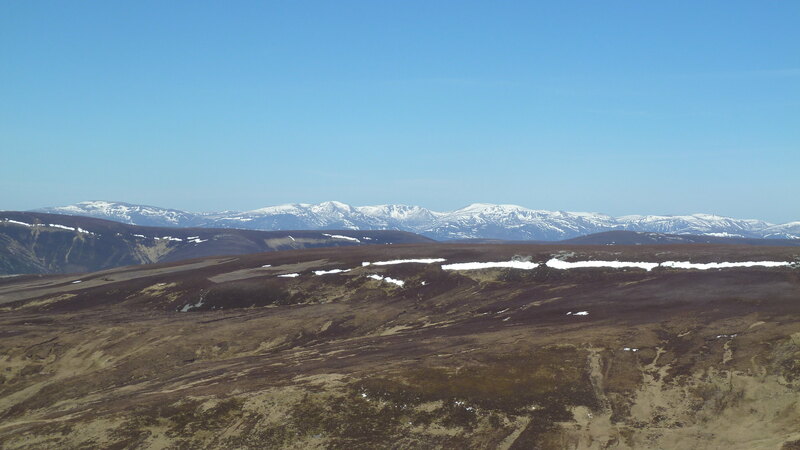 I suppose my next goal is to delve into the Cairngorms "proper", so that's something to look forward to this summer.